Home Trends International Trends Chinese Authorities Fight Irresponsible Mortgage Lending – Sound Familiar? Chinese Authorities Fight Irresponsible Mortgage Lending – Sound Familiar? In what is one of the biggest ironies the world may have ever seen, because of stimulatory measures taken to stave off the effects of the financial crisis, several countries are now having to act quickly to avoid their housing markets overheating, and to curb the same irresponsible subprime lending practices that caused the crash in the first place. The most notable of these is China. The government has recently enacted several policies aimed at cooling the housing market, which is rapidly inflating into a bubble, and the latest move is aimed directly at irresponsible and even fraudulent lending practices. Directive 138 is specifically targeting the special relationship that is being forged between lenders and real estate agents. This relationship has become particularly close lately as lenders recently started paying cash bonuses to realtors for bringing in business in the form of high value loans. This is because of the fierce competition for loans in the growing Chinese housing market. The authorities are keen to stamp out the practice because it leads to realtors not doing the proper checks on their potential clients, and even to the realtors providing false documents to the potential debtors. This seems like an obvious consequence to those of us on the outside looking in; to the realtors it was a no-lose situation: it is in their best interest for their clients to get a mortgage, because that allows them to pay for the property, which gets them the commission there, so the banks adding a cash incentive only intensified their reasons to want the client to get a mortgage. Who knows why it wasn’t obvious to the lenders. It seems that greed is still blinding even though we now know what this greed can bring. The signs that the overheating mortgage market is leading to a US style crash are already becoming apparent: According to China Net News, failure to meet mortgage repayments is an increasing phenomenon, resulting in rising instances of bank-initiated legal action, and nearly one million Yuan in economic losses. 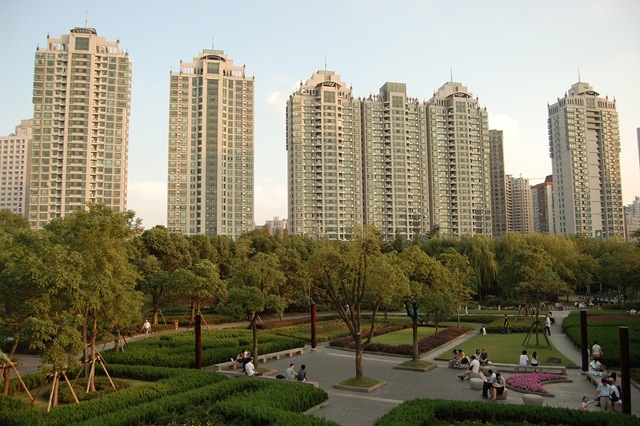 Court sources show that in Haidian district last year, late mortgage repayments took 400 people to court, while Changping and Shijingshan saw a fourfold increase in similar cases compared to the year before. To be frank, the world cannot afford a crash in China like the one that happened in the US, so let us all hope that the measures being taken are enough. Will Foreigners Buy Greek Property Despite the Financial Crisis? Overseas Property Down, but, Not Out?